Wendy Welch and her husband had always dreamed of owning a bookstore. When the opportunity to escape a toxic work environment and run to a struggling Virginia coal mining town presented itself, they took it. And took the plunge into starting their dream as well. They chose to ignore the “death of the book,” the closing of bookstores across the nation, and the difficult economic environment, and six years later they have carved a bookstore—and a life—out of an Appalachian mountain community. A story of beating bad odds with grace, ingenuity, good books, and single malt, this memoir chronicles two bibliophiles discovering unlikely ways in which daily living and literature intertwine. Their customers—"Bob the Mad Irishman," "Wee Willie," and "The Lady Who Liked Romances," to name a few—come to the shop looking for the kind of interactive wisdom Kindles don't spark, and they find friendship, community, and the uncommon pleasure of a good book in good company. 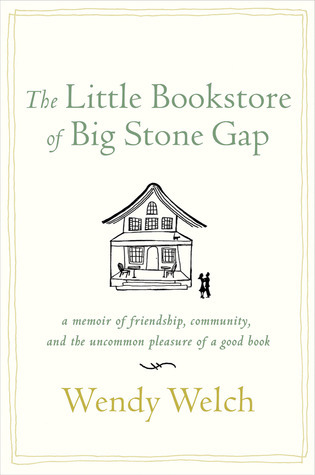 The Little Bookstore of Big Stone Gap will make you want to run to the local bookstore, and curl up in an arm chair with a treasure in bound pages. I got this book because my friend Melissa of Carpe Librum Books (http://carpelibrumbookstore.booklikes.com/) kept recommending it. Maybe even raving about it. I can see why. I'm not sure I'd rave, but then I don't run a bookstore. But I enjoyed the book immensely, and learned a great deal along the way. Did I need to know about which types of books sell best, and the realities of creating a used book store out of nothing? Maybe not, but I had a good time, and turned some of that knowledge to how I thought about our "Friends of the Library" book sale. 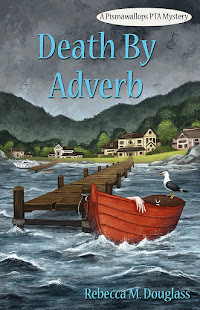 Welch's writing style is engaging, as is her ready willingness to apply some gentle self-mockery to the naive innocence with which she and her husband approached both the bookstore project and their move to a small town. I'd say that the book is about half about running/developing a book store, and half about the realities of becoming a part of the community when the community is small, somewhat isolated, and maybe (like many small towns these days, for good reasons), a bit defensive. I admit that as I started reading, I thought that the couple's naiveté was going to annoy me, along with a little tendency to look for "signs." But she quickly demonstrates that she is completely aware of both of those things, and maintains a sense of humor that goes a long way toward making this a swift and pleasurable read. For bibliophiles everywhere. Especially if you've ever thought you'd like to run a book store, this can provide both some practical advice and a reality check. 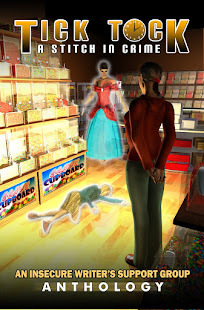 But it also is a lovely story about a a couple becoming part of a community, and I enjoyed it on all those levels (well, I have no desire to run any kind of store, but if I did, it would be a bookstore). FTC Disclosure: I bought The Little Bookstore of Big Stone Gap, and received nothing from the writer or publisher for my honest review. The opinions expressed are my own and those of no one else. I am disclosing this in accordance with the Federal Trade Commission's 16 CFR, Part 255: "Guides Concerning the Use of Endorsements and Testimonials in Advertising." I hear you. It does sound delightful in many ways, but I've chatted enough with the guy who owns the little local bookstore that carries my books. He works 6 days a week, no vacations, and maybe makes a living at it. Volunteering with the charity is better!